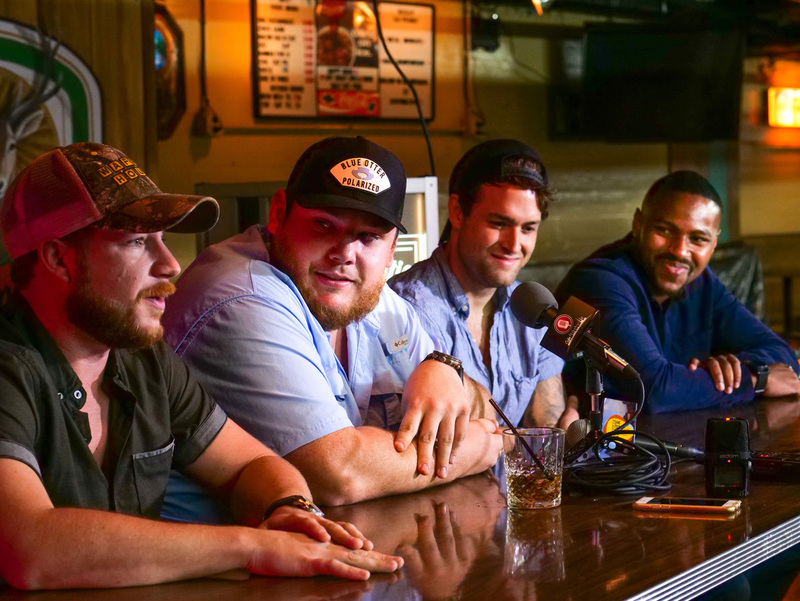 Luke Combs just might be the country artist with the most chart impact right now that is also the most devoted to giving new songwriters a shot at a coveted No. 1 single. As music industry members gathered on Tuesday (Aug. 21) at Nashville venue The Sutler to celebrate the Columbia Nashville/River House artist’s third No. 1 single, much praise went to Combs’ three co-writers, who were each celebrating their first No. 1 country single with “One Number Away.” “One Number Away” is Combs’ third consecutive No. 1 single from his debut album This One’s For You. Combs’ previous chart-topping singles, “Hurricane” and “When It Rains It Pours,” also marked the first No. 1 songs for Combs’ co-writers on those tracks. 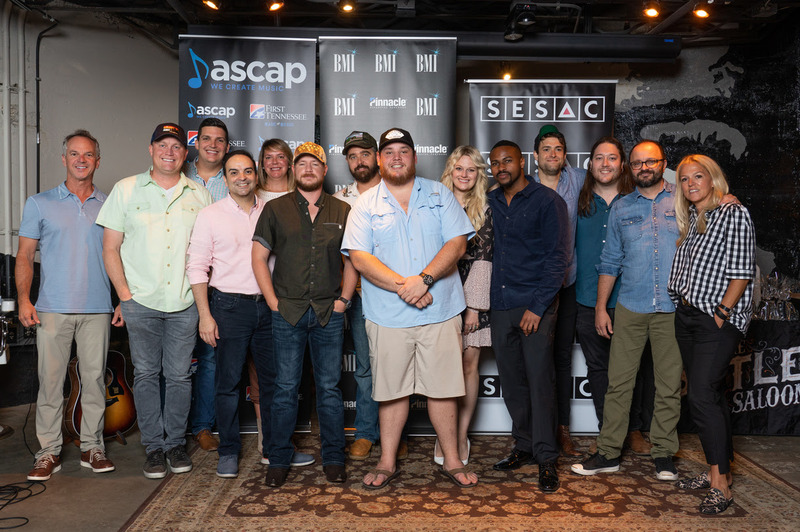 BMI’s Leslie Roberts, ASCAP’s Beth Brinker, and SESAC’S ET Brown hosted the event to honor Combs and his co-writers Steven Battey, Sammy Mitchell, and Rob Williford. Battey also started the organization Singing for Superheroes, which brings awareness to kids with terminal illnesses. The first video as part of that program has earned more than 47 million views. ASCAP celebrated by giving Battey a Yeti cooler. First Tennessee Bank is ASCAP’s partner at No. 1 parties. Brown celebrated Mitchell, offering him a Bose headset and speaker. Mitchell hails from Oklahoma City, where he led his rock band This City Lives, before moving to Nashville to attend Belmont University. Roberts recalled how Williford first moved to Nashville in 2006, and eventually returned home. Then in 2013, he tried Nashville again, with a renewed focus on songwriting. Williford’s connection to Combs came via Combs’ college roommate’s mother, who was Williford’s high school science teacher. Rob also has “Don’t Tempt Me With A Good Time” on Combs’ debut album, plus two tracks on the deluxe album. “Beautiful Crazy,” another Williford co-write, hasn’t been released as a single, but it has already been certified Gold. Williford received a Taylor Guitar from BMI to celebrate his first No. 1 song. “When you find your core group of co-writers, your people you come up with in the business, there is nothing more authentic or rewarding than celebrating No. 1s with them. It’s [Luke’s] co-writers’ first No. 1 singles, too,” Roberts said. Other celebrating include Big Machine Music’s Mike Molinar, River House Artists’ Lynn Oliver-Cline, Concord Music’s Brad Kennard, Sony Music Nashville’s Shane Allen, and more. 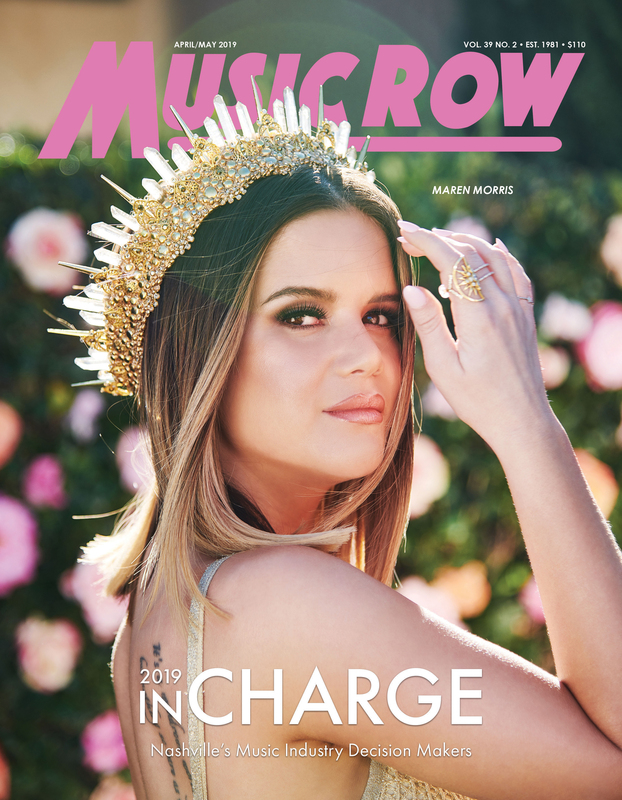 Molinar pointed out Combs’ skyrocketing career success, which so far includes a Platinum debut album, several Gold- and Platinum-certified singles, and more than 1 billion streams. “This is so surreal. We wrote this in a bedroom in a house when we had nothing going on in our careers,” Mitchell said. “I’m going to spit some dip in this cup here for a minute,” Combs said in his straightforward manner. “They told me to be authentic so I’m just trying to do that for you guys. In all seriousness, it is hard to believe when you are doing something like this. I want to deflect all the praise to my co-writers here. Thank you guys for believing in me. I had absolutely nothing going on when we were writing this song. It was at the point where I was like, ‘Thank you guys for even letting me cut a song we wrote together’ because it was at that point where it was like, ‘Well, someone else could probably [sing] it. “Sony, you guys have been rock stars for me. Columbia Nashville, you are superstars. Thank you for helping spread our songs to 48 or 50 million people on country radio every week.” Combs also offered appreciation to those at CAA, River House, Big Machine Music and Jonathan Singleton’s 50 Egg Music, BMI and more.